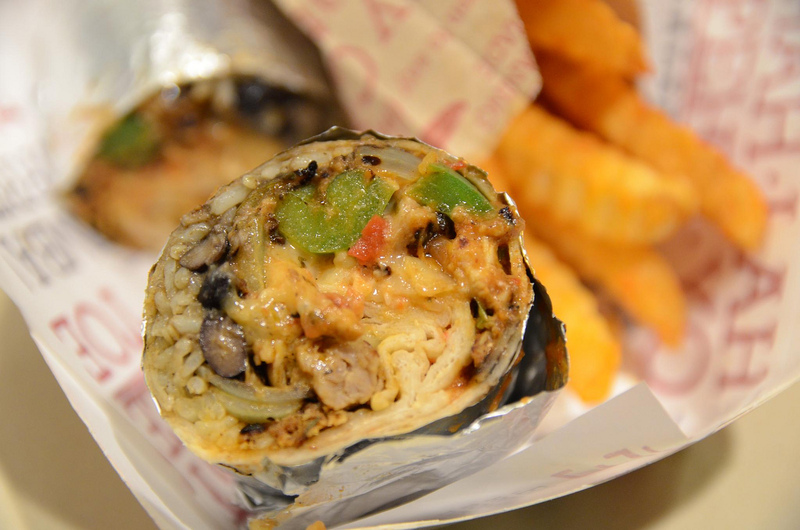 Is the perfect burrito a feat of engineering or a work of art? And do you find better ones in Los Angeles or San Francisco? This week on The Sporkful we’re going on a burrito odyssey. Listen in as I eat my way from the cradle of burrito culture, in southern California, to the Bay Area innovation hub, where the "Mission-style burrito" was invented. Good Food host and LA native Evan Kleiman argues for the former, while Bullseye host and SF native Jesse Thorn lobbies for the latter. 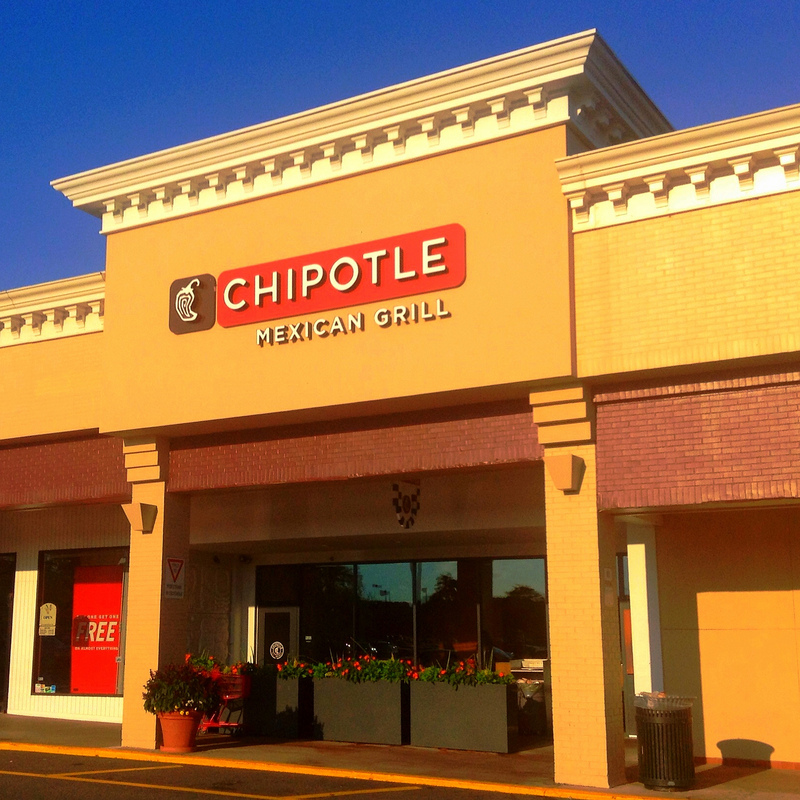 Along the way, I ask the burrito makers and eaters I meet in these hallowed temples of burritodom what makes this Mexican-American comfort food so irresistible to human bellies. Turns out opinions vary as widely as the burritos themselves. So is a good burrito merely the sum of its raw materials: slow-cooked beans, tender meat, pliant tortilla, piquant add-ons? Or does the secret lie in the sure hands of an experienced maker, layering and enfolding fillings just so? 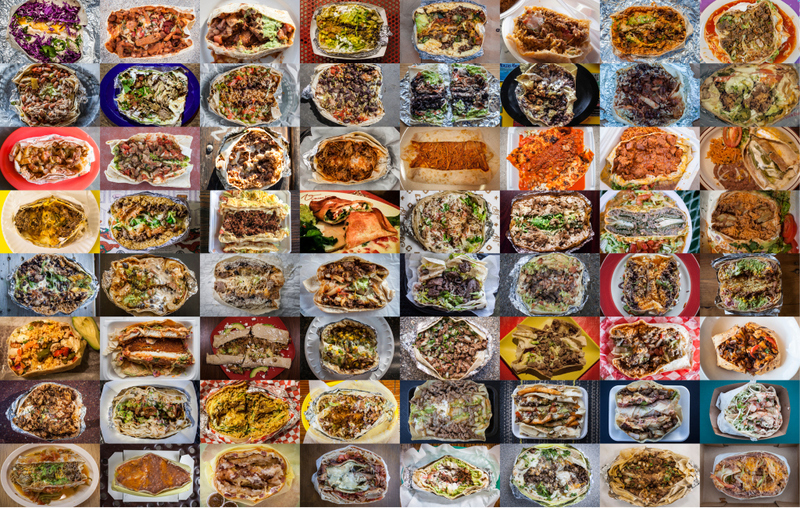 The universe of burritos is huge and varied. Some are griddled ("dorado"), while others are bathed in sauce ("mojado"), deconstructed ("bowl"), or re-imagined entirely ("sushirrito"!). 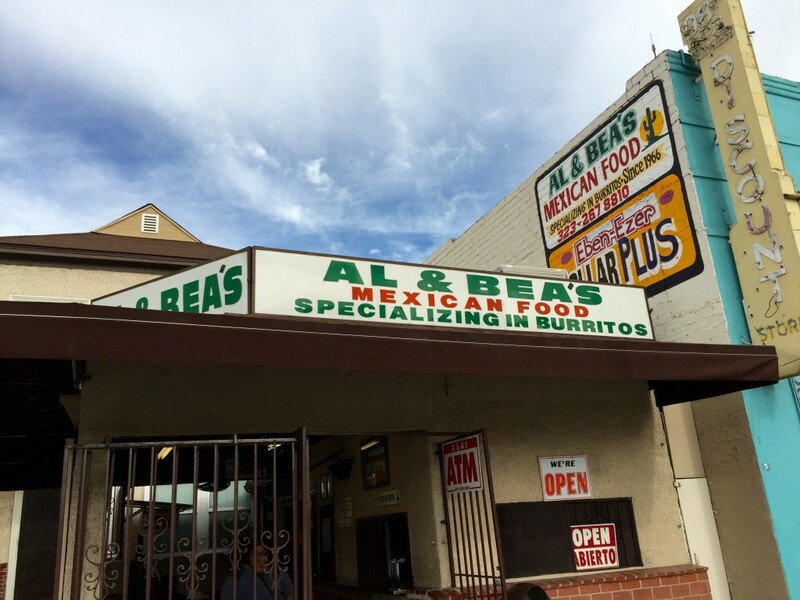 First stop: Al and Bea’s, a burrito joint that's been a fixture in L.A.'s Boyle Heights since 1966. 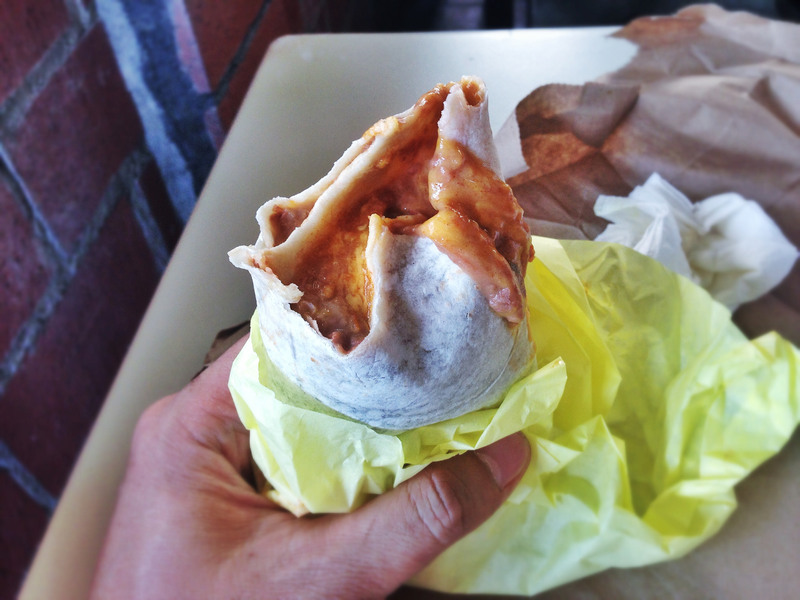 Their burritos are a study in simple beauty: refried beans, cheese, tortilla. You can add meat, but you don't have to. My friend Evan Kleiman, host of KCRW's Good Food, grew up eating these classic SoCal burritos in Los Angeles. "Some great beans would be applied down the center [with] finely chopped onions and a very finely chopped chili," Evan recalls of these childhood burritos, often eaten in the homes of Mexican friends. "There was no rice, no guacamole, no sour cream." At Al & Bea's, I meet several customers who have been eating there for decades. After trying their refried bean and cheese burrito (shown above), I can see what keeps these folks coming back. Those refried beans are the best I have ever eaten: smoky, garlicky, rich, and creamy. At Al & Bea's, the beans are cooked for 16 hours, using a family recipe handed down through three generations. And, yes, they use lard. 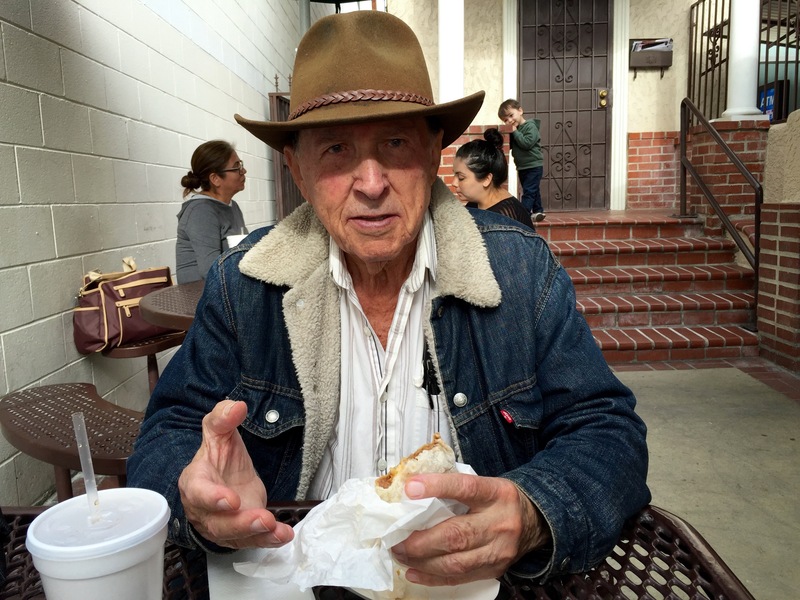 "Mexican people are used to cooking with lard," says Luis (below), who's been going to Al & Bea's since the 1960s. 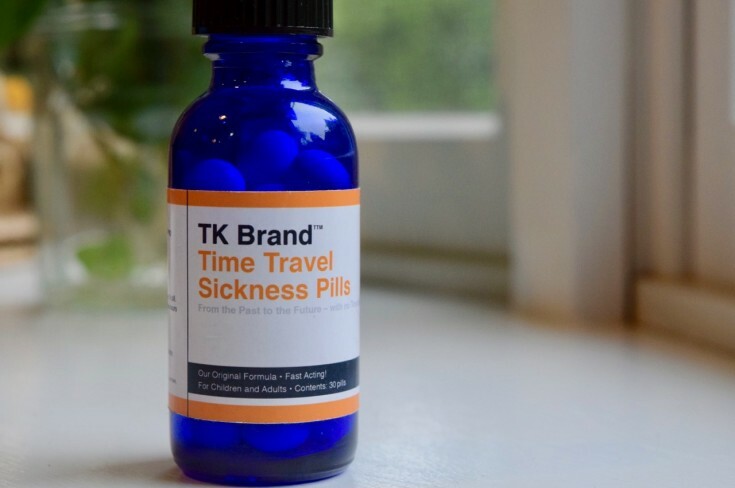 "There are certain foods that just won't go with oil. It's gotta be lard." 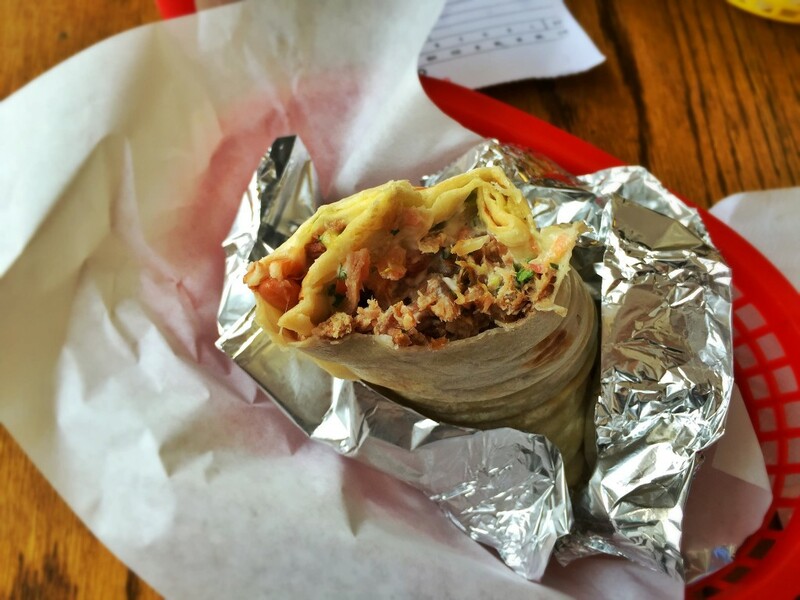 Next stop: La Taqueria in San Francisco -- exemplar of the famous "Mission-style" burrito (shown below) and winner of FiveThirtyEight.com's nationwide burrito bracket last fall. Mission burritos are embellished with all kinds of add-ons: Spanish rice, guacamole, salsa, and sour cream. It takes real skill to pack all those ingredients securely within a tortilla. All too often, the fillings clump together unevenly. And if things go really awry, the tortilla ruptures and all hell breaks loose. My friend Jesse Thorn, host of public radio's pop culture show Bullseye, grew up in San Francisco. He lives in Los Angeles now, but he remains loyal to these hulking, northern California burritos of his youth. "There is a thing called a burrito in southern California, but I don't even count it," Jesse says. "You might as well say that Philly cheesesteaks are a New York food." I talk to a chef at La Taqueria, who estimates that he makes 700 burritos each work day. Miguel has been at his post for 30 years, so we calculate that he's made more than five million burritos over the course of his career. Miguel's masterful burrito technique (shown in the video above) is as effortless as it is flawless. Watching him reminds me of another culinary maestro I interviewed on The Sporkful: New York pizza legend Patsy Grimaldi. The result is a burrito that balances all of its constituent flavors and textures -- a perfect study in bite consistency. 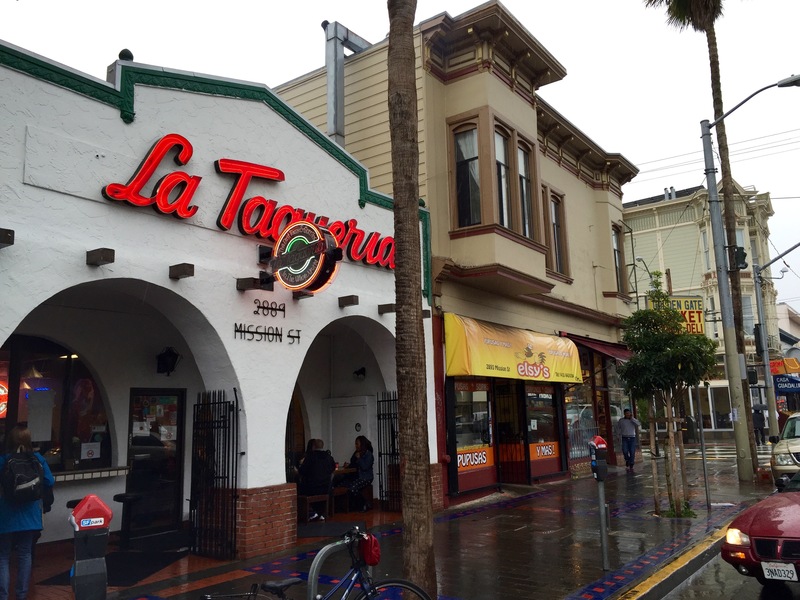 Al & Bea's refried beans still haunt my dreams, but La Taqueria's burritos are perfect for me. Not all of us are fortunate enough to live in California's burrito belt, and that brings us to our final burrito destination: Chipotle. I know, I know -- but beggars can't be choosers. 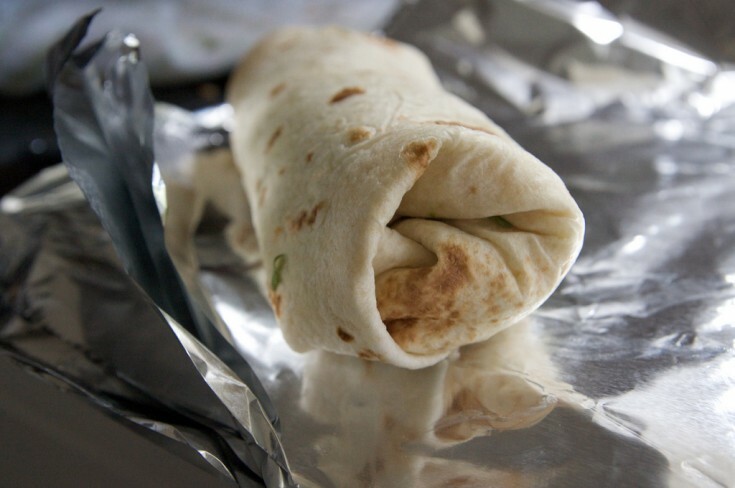 Plus, Vox's Matt Yglesias has a really interesting theory that Chipotle burritos (shown below) are like iPhones. To find out, I round up some of my fellow WNYC podcasters and head to our local Chipotle in lower Manhattan. It's all fun and games until tragedy strikes the New Tech City team. 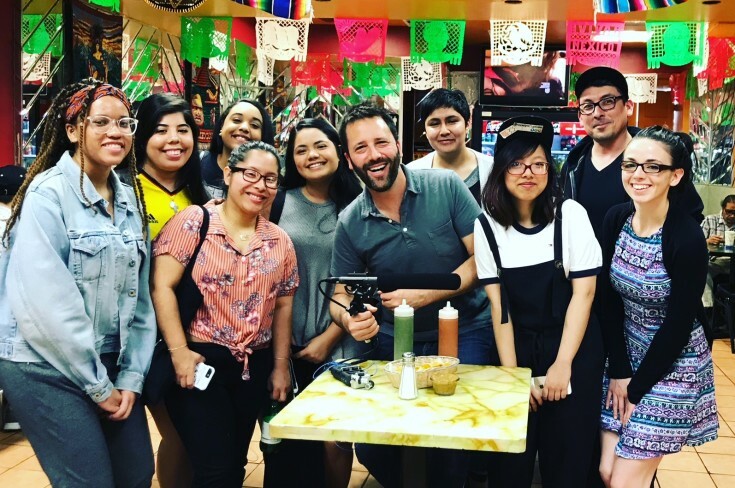 "It was my ordering technique that made me go wrong," says New Tech City senior producer Alex Goldmark, whose burrito collapsed just a few bites in. "I got greedy."